In a recent recovery snippet, I spoke about the problem with overwhelm of information when it comes to ME/CFS/Fibromyalgia. And it made me reflect on my own efforts to help the wider ME/CFS/Fibromyalgia community including publishing CFS Unravelled 3.5 years ago. 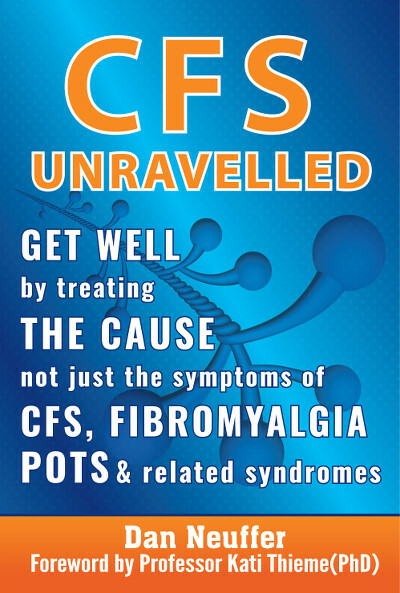 It has been wonderful to get so much positive feedback about CFS Unravelled over the years. Much of it has been about appreciating the detail on how the dysfunctions we experienced in Fibromyalgia/ME/CFS occur. But occasionally, even my staunchest followers (dare I say fans), suddenly see a post or see me share a recovery story of someone who used a particular approach they don’t like, and express disappointment. Whilst I may or may not agree with some approaches, in the end what really counts is when something works for someone. So it’s not so much about whether we agree with their approach, but rather about understanding WHY it worked for that person. The Single Dysfunction We Must Focus On For ME/CFS/Fibromyalgia Recovery! My message is this – ME/CFS/Fibromyalgia is a SYNDROME. There are a huge list of dysfunctions and ways symptoms are created, and how most of this happens is understood! HOWEVER, treating these dysfunctions whilst helpful, in isolation rarely produces lasting results, let alone a recovery from the illness. When I was ill, one of my biggest frustration when seeing physicians and alternative practitioners was that whilst their treatments addressed problems, they never answered me WHY these problems were occurring. And whilst some of these dysfunctions perpetuate in their own right, or are triggered by other dysfunctions, the whole point of CFS Unravelled was that SOMETHING has to be creating all these problems in the first place. And in the book I explain how I came to the inevitable conclusion, that the Autonomic Nervous System (ANS) is that something and how neuroplasticity is central to recovery from the illness. How Does ANS Dysfunction Impact How We Approach Recovery? Imagine you come home, and your kitchen is flooded with water. What do you do? Well, it’s only natural to clean it up – wipe it up, mop it up, dry it – yes? THEN WHAT? Do you just say, OK that’s fixed? The next day you come home, you see the kitchen floor is covered in water again. Mop it up again? What about the next day? The day after that? OBVIOUSLY, we don’t just clean up the mess without finding out what is wrong. Is there a broken pipe? A leak in the roof? Some other obvious SOURCE OF THE PROBLEM? Surely, the first question has to be WHY these problems are occurring, rather than just how to ‘fix’ them. Because only once you address the root problem (broken pipe or leak in the roof) that is creating the symptoms (The puddle on the kitchen floor), are you really going to make a lasting change – right? TREAT THE CAUSE, NOT JUST THE CONSEQUENCES! Now, notice I said, not JUST the consequences. Because of course, (returning to our metaphor), if you realised that the pipe under the sink was leaking water, surely besides fixing the pipe, you would also replace the swollen cupboard doors that no longer shut. And you would ensure that the carpet in the adjoining room is dried out as well as the kitchen tiles. The water marks on the skirting boards are addressed and so on. If you have been listening to recovery interviews, then perhaps you have glimpsed some common themes and approaches. Heard about common physical treatments, common mind/body approaches but also common changes in terms of how people look at the illness and how they approach life. So how does that fit together? Well, let’s start by stating the obvious – the Autonomic Nervous System is in the brain! And of course, anyone who has experienced chronic pain (research has shown that the ongoing pain in fibromyalgia is primarily caused by central sensitisation where the brain experiences pain more strongly than in normal healthy people), brain fog, irritability, mood swings and sensitivity to lights, sounds and touch, can clearly see that there are issues in how the brain functions. So clearly, that means we need to focus on changing how the brain functions! You might even ask, is that even possible? Even though most physicians trained last century were emphatically told that the brain is fixed by the time we reach adulthood, wonderful research scientists like Dr Michael Merzenich have proven that this is not the case and opened up the science on neuroplasticity. Neuroplasticity, meaning that the brain is plastic, that it has the ability to reorganize itself by forming new neural connections throughout life, and pruning old ones no longer used. Neuroplasticity allows nerve cells in our brain to compensate for injury and disease and to adjust their activities in response to new situations or to changes in their environment. In other words, our brain can unlearn how to feel excessive pain. Our brain can unlearn to react inappropriately to stimulus, like lights, smells, sounds and even physical stressors like low blood sugar, poor gut function and so on. Of course, inappropriate responses to psychological stressors can also be retrained, but this has been long-known and much more acceptable in the field of psychology. So if we want to effect change in how the brain works, if we want to affect neuroplasticity for ME/CFS/Fibromyalgia, we have to do BRAIN TRAINING. But what does that mean? Well, most people think of brain training as something that is mental. And of course, that is the most direct route. 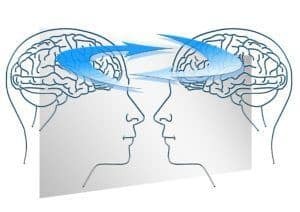 People train their brain to remember things, to be able to do special things like computations, or respond faster like you might see in a fighter pilot or athlete. But brain training for healing as opposed to performance can take multiple forms. A good example of this is stroke victims, where a part of the brain stops working leaving them unable to perform physical activities like walking or speaking. The solution? BRAIN TRAINING! Their brain training is usually done with a physical therapist, where they re-learn to move their legs. It’s a combination of the physical and mental efforts and feedback. So not only is it about attempting to engage in movement with our mind, but also the feedback from our body. So by someone moving the body for the stroke affected person, their brain is being trained to refire the appropriate nerves to engage those muscles. And once they are able to somewhat engage their muscles with their mind, the learning can accelerate. In ME/CFS/Fibromyalgia, the issues are of course quite different than in a person with a stroke. It is more about dysfunction than injury per se. But the same lessons and opportunities to retrain the brain still apply. For example, pain psychologists have been using the insights gained from researchers for many years now, to help tune down excessive chronic pain for people like burn victims in hospitals. But whilst it’s my absolute conviction that all people experiencing ME/CFS/Fibromyalgia/POTS/CFIDS/MCS/EMHS all share the same root ANS dysfunction, we must recognise that there is still a great deal of variation, not just in terms of the secondary dysfunctions and symptoms, but also in the way the illness is triggered. Recovery from ME/CFS/Fibromyalgia is always an individual process, not some magic cure! If you wish to learn more about the dynamics of the illness and how recovery happens, you can watch the free introductory portion of the ANS REWIRE program by requesting the lessons here. As always, feel free to share your thoughts below this blog. ? Even though I was a nurse practitioner and could read and understand all the research, I still couldn’t put it all together until I took Dan’s ANS Rewire program. Doing the protocol–dietary changes, rest, destressing and rewiring the nervous system–I found insights that helped me start to heal and continue to get stronger. I’ve rewired the fibro pain and the total, mind-numbing exhaustion that I felt for a decade is gone. I have no words to adequately thank Dan for helping me regain my life. Indeed it’s not just about understanding the dynamics, but also about putting it into context in terms of actionable steps. It’s so easy to get lost in the sheer volume of information which is why I wrote the blog here to help readers ensure they get the main message! 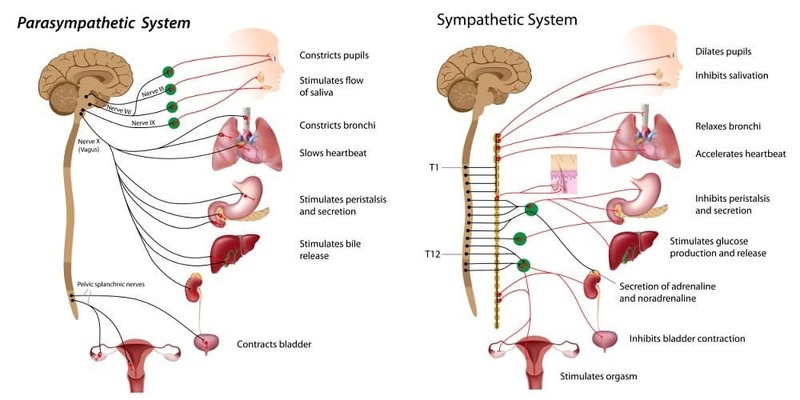 Does this mean you can train your body not to slip into the sympathetic nervous system. I’m not sure what triggers it. Hi Dan. Have you joined forces with any neuroscientists or related physicians to aasist you further in your understanding of FM and neuroplasticity? There are some connections, but it’s difficult to get funding for formal studies wherever pharmaceuticals are not involved. My daughter got ME/CFS since her last Gardasil injection. It took us 3.5 years to have a conclusion of ME/CFS. She got brain fog, excessive sleep, HRV causing her to keep waking up, fatigue, can not focus, sensitive to light, noise, tinnitus, sore throat, light fever, OT. She can hear the TV when it got switched on, even though her room is 20m away from the TV. On a bad day, her tinnitus got louder. Do you know if anyone ever recover from tinnitus? Sorry to hear about your daughter’s experience. Yes I have heard others recover from tinnitus – in fact I myself had tinnitus for some time (not sure now, I think it might have been a year or so). In many cases it is about addressing allergens that are creating fluid in the ear and sometimes infections. In cases where tinnitus is due to excessive noise damage, I am not sure – it may be more challenging to get rid of it. I think Stuart also mentioned tinnitus in his interview. Indeed it can really affect us. 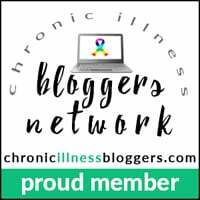 Taking active steps and making choices to shield ourselves from negative influences is an important step in recovering from Fibromyalgia and ME/CFS. It’s great to hear you are taking positive steps forward and making great connections. I hope that CFS Unravelled helps you bring it all together. You might also find some helpful insights from the free videos of the ANS REWIRE program. Look forward to hearing about your recovery one day soon!